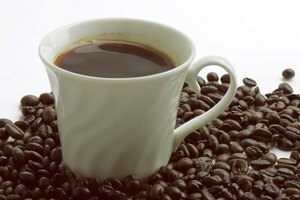 The cold press and French press methods of brewing coffee do not use filters. 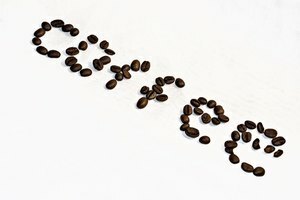 Brewing coffee using the cold press method can take several hours but results in less acidic flavor than a typical brew. A French press makes coffee taste more intense because there is no filter to trap oils from the coffee beans. A French press is a circular wire-mesh filter plunged into a cylindrical jug. To make coffee, pour boiling hot water over the coarsely ground coffee beans and wait for the water to percolate through. To make coffee using the cold press method, you will need a pitcher, small carafe or tall jar with a lid to hold the coffee, a tall glass or mason jar for the brewing process, a second glass to pour the brewed coffee into and a kitchen strainer. Using a 4:1 ratio of water to coffee grounds, mix them together in the brewing container and cover for three hours or overnight in the refrigerator. Strain the coffee mixture through the filter into the second glass, then pour it into the serving container. If you prefer a less acidic taste and enjoy drinking it cold on hot summer days, the cold brew method would be a good choice. If you prefer a more intense coffee flavor with your hot coffee brew, the French press method will deliver. The French press method brews coffee with a high level of cafestrol, a potent dietary LDL (bad) cholesterol-elevating agent. The French press method can be more time consuming because of the cleanup of the internal filter. The cold press method also takes several hours.